27th April, 2015, Sunbury-On-Thames – HyperX®, a division of Kingston Technology Company, Inc., the independent world leader in memory products, today announced HyperX Savage, its next-generation SATA Rev. 3 (6Gb/s) SSD. HyperX Savage is powered by the Phison S10 quad-core, eight-channel controller delivering incredible read/write speeds for both compressible and incompressible data, as well as high IOPS. It replaces the highly successful HyperX 3K SSD. 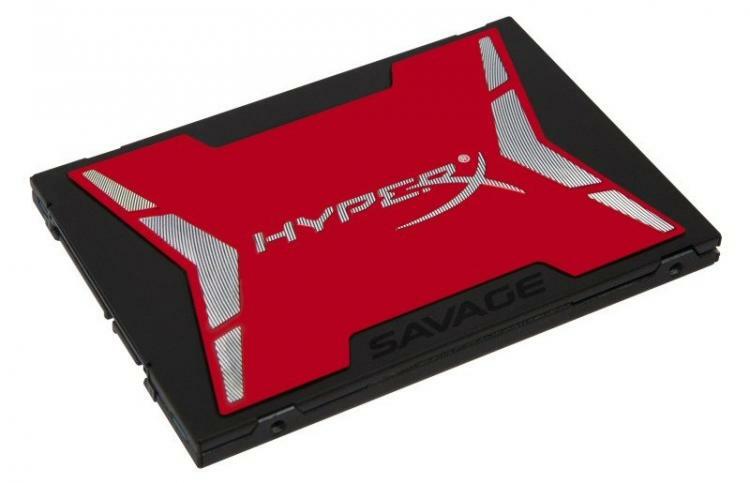 HyperX Savage is the fastest SATA-based SSD in the HyperX collection. With sequential speeds of up to 560MB/s read and 530MB/s write, and IOPS of up to 100,000 read and 89,000 write, HyperX Savage offers higher performance, ultra-responsive multitasking and an overall faster system. It features an eye-catching red steel and aluminium case with a low profile to fit most notebooks, desktops and small-form factor PC builds. This new design continues the HyperX trend as a leader in stylish gaming products. HyperX Savage is available in 120GB, 240GB, 480GB and 960GB capacities. It is sold as a stand-alone SSD or with an upgrade bundle kit that includes a 2.5&#8243; USB 3.0 enclosure, 3.5&#8243; bracket and mounting screws, SATA data cable, hard drive cloning software5, multi-bit screwdriver and a 7mm to 9.5mm adapter. The drive is available from Kingston Technology directly, Overclockers UK, Dabs, Amazon and E-Buyer.